Here’s a New Year’s toast to to all our friends and family! 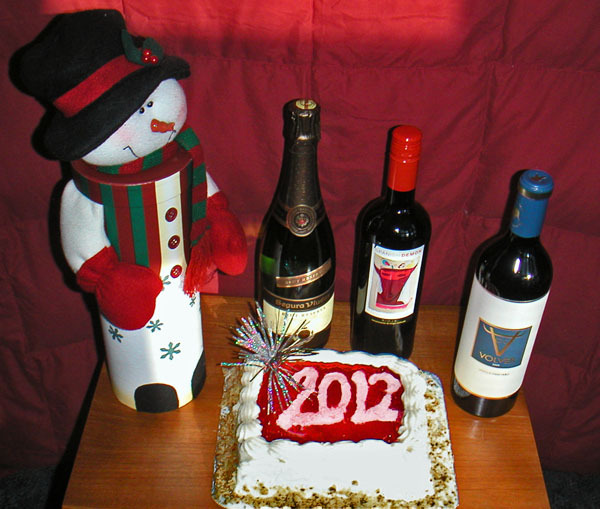 We connected with old friends and made some new – to all we wish the best of health and happiness in 2012. We have enjoyed our holiday season and thank all who made it brighter and merrier with our time together in December. This entry was posted in Colorado, Party Central. Bookmark the permalink. 3 Responses to Happy New Year 2012 !!! I am glad I finally made it to your blog. Wonderful pics! I have a feeling this year will be just as good if not way better than last. Happy New Year, Pam and Henry! Enjoyed your 2011 visit to San Diego, love the red starfish photo. BTW, Henry, I haven’t forgotten my memory card once since Spanish Village—nice to know old people can still learn. Have a fun year ahead! Will look forward to your photos from Florida – especially the tennis tournament. Have a great trip.